How does one get from Budapest to Zagreb? I’m sure there are a number of ways but to find a way to get there via Lake Balaton proved extremely challenging to me. Nonetheless I eventually found a way and spending time by Lake Balaton was well worth the effort and an experience I wouldn’t have missed for the world! 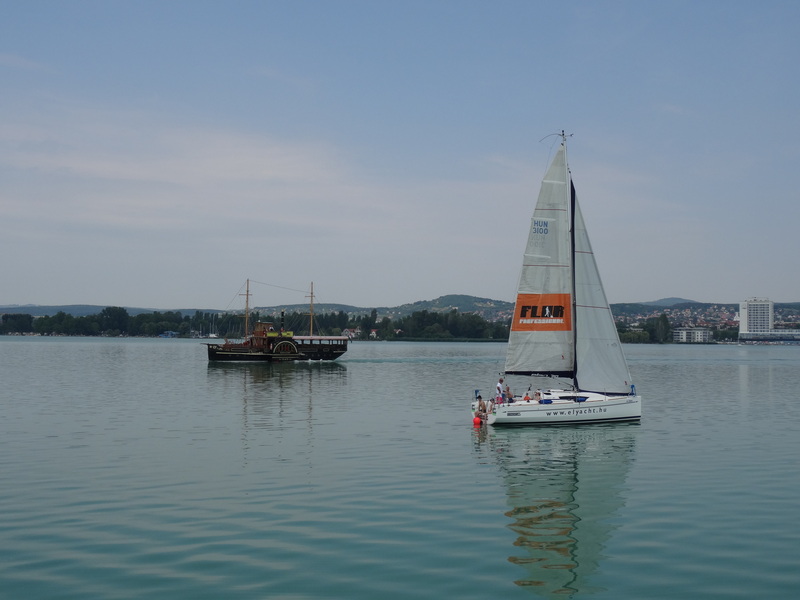 As such I share the information about my route below hoping it will make planning a little easier for others so they too can enjoy a pleasant stop off by Lake Balaton. After spending a lovely time in Budapest I felt compelled to explore more of Hungary before moving on to Zagreb in Croatia. Unsure where to go next I was gratefully guided by the recommendations of my new friends at Zsofis’ House Hostel in Budapest and settled with anticipation on a visit to Lake Balaton; Central Europe’s largest lake situated southwest of Budapest and ideally en route to Zagreb. Bus links conveniently connect Budapest directly with Zagreb with Flexbus and other companies offering a number of reasonably priced services every day, but I found it more of a challenge to plot a route which included Lake Balaton along the way. Nonetheless, after spending a morning researching on the internet I developed a plan that ultimately proved to be a pleasant and suitable route which I recommend to other travellers. Balatonfüred is a popular resort town on the northwest shore of Lake Balaton and considered to be the capital of the north lake. It is a popular yachting destination with two marinas and boasts a number of good quality hotels and restaurants. It makes a good base to visit surrounding villages either for the day or overnight. The train line runs from Budapest Deli Railway station along the shore of Lake Balaton to Tapolca in the south about 27kms west of the lake. Services operate frequently throughout the day stopping at Balatonfüred and other towns and villages along the way. Some services require a change before reaching Balatonfüred while others are direct, taking approximately 2 hours from Budapest Déli Railway Station. N.B. There are a number of towns and villages with names beginning with “Balaton…” so be careful to get out at the right place! Tihany is a quaint little village on the Tihany Peninsula of Lake Balaton only about 8kms from Balatonfüred. I decided to stay there for a few days, but it would also be a great day trip from Balatonfüred. It can be reached by local bus services which run frequently throughout the day and fares are incredibly cheap. The Bus Station is situated next to the Train Station. There are also frequent Ferry Services. I took a very pleasant ferry trip from Tihany, which went back via Balatonfüred before sailing across the lake to Siófok on the east side of the lake. Ferry services run around four times a day and take just under an hour from Balatonfüred to Siófok. I had great difficulty finding the correct information on the internet about train services from Siófok to Zagreb, with some information showing night trains taking up to 15hours and indicating a near impossible journey. However, there is at least one direct train which operates most days leaving at around 16.00hrs and takes around 5hours. The confusion seems to be caused by the fact that Hungarian railways only show trains running from Siófok to Nagykanizsa, which on this route is the last Hungarian station before the Croatian border. More detailed and accurate information about direct trains from Siófok to Zagreb are best obtained at local railway stations while you are in Hungary. My train journey had me arriving in Zagreb in the late evening which I would normally avoid doing. However I had booked Zagreb Palmers Hostel in advance which is only a few minutes walking distance from the railway station on a well-lit main street and I felt quite safe walking to it. There are also quality hotels in the vicinity of the railway station, which is also very central and an easy walking distance to Zagreb’s main sites. For your information should you use the links on this post or any others on the site to purchase something I may gratefully receive a small commission at no extra cost to you, which helps to support this site.